Harvey Anderson has a pretty simple life. He is a street performer in New Jersey, lives in a modest apartment with his girlfriend, and is a mostly upright citizen. One day, out of the blue, Harvey is kidnapped, beaten to a pulp by a group of goons, and has his mind practically assaulted by a man known simply as ‘The Spider’. But it isn’t Harvey they are truly after, it’s his girlfriend: Sally Starling. Turns out, she has the ability to erase one’s mind, among other things, and the spider will stop at nothing to find her. The bad news for him: Harvey has no memory of Sally and finds out that she has completely erased herself from his mind, except one small snippet that may lead him back to her. What happens next is anyone’s guess but you know that it will be a race against the clock to see who will get to Sally first. What is great about this book is that Youers focuses on each and every character as much as he focuses on the flow of the story. You understand each character’s calling, their motives, and the secrets waiting to be revealed. 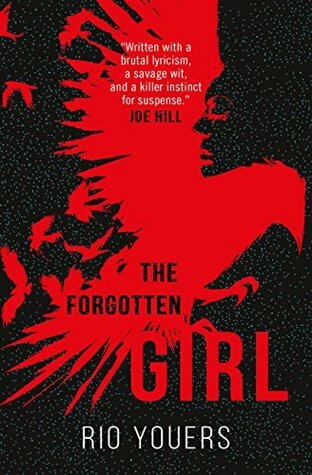 The prose is fluid, the tone is dark and emotional, and the action will have you flipping each page with the desire to know what happens next. I felt that halfway through, this book was all wrapped up with a bow on top. But Youers turns everything up a notch and delivers an ending that you won’t see coming. 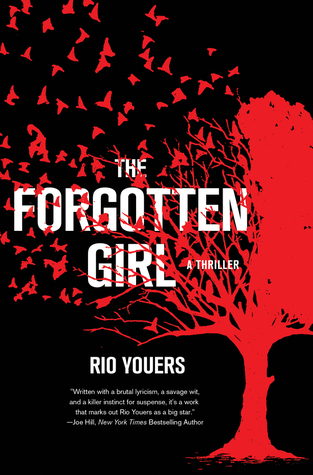 Youers has written a superb thriller here and one that you shouldn’t miss. I mean, just look at those blurbs from some of the best around: Malerman, Hill, Pinborough, Golden, Wilson, Straub. Doesn’t get much better than that. Note: I received an advanced reading copy from the publisher in exchange for a review. They had no influence on the rating or content. New booksies that came in over the weekend. Thanks to @humboldtlycanthrope, @evan_james_clark_or_whatever, and @corpuspress for these beauties. Always an exciting time when new authors catch your eye and you get a chance to check them out. This weekend has been a little crazy, what with a tornado touching down about 1 mile from our home at 4:00am this morning... But I digress. 🤷🏻‍♂️ I haven’t done one of these #meetthebookstagrammer dealios so I thought I’d take a stab at it. 🤷🏻‍♂️ My name is David and I live in central Alabama. I’m married to a blonde bombshell named Rachel and have 3 dogs (including this wannabe shark) and 1 cat. I work 2 jobs: one full-time in telecom and a second part-time as a real estate agent. 🤷🏻‍♂️ I began reviewing books about 3 or so years ago when I was on the indie scene. @nickcolebooks and @author_sansbury are a couple of the fantastic authors that inspired me to do so after finding their books absolutely thrilling. I have since started the blog FanFiAddict.com (Oct 2017) and began my bookstagram at the end of 2018. 🤷🏻‍♂️ As you can probably tell by my feed, I enjoy just about every genre out there, but I try to keep my focus narrowed down to fantasy, sci-fi, and horror. There are just so many books and not enough to get them all read, let alone reviewed. 🤷🏻‍♂️ Whelp, that’s a little bit about me. I would love to know more about some of you guys. On another note, and this doesn’t mean you have to do one of these, but I want to give shoutouts to @grimdark_dad, @the_infinite_book_dragon, @bookish_mili, and @petrikleo for being some of the coolest bookish people I’ve gotten to share my love of books with since joining IG (and Petrik a little beforehand through blogging). You guys are the best! Newest @stephenking additions to the collection. I don’t LOVE having the clear plastic wrap around my copy of The Talisman, but at least it keeps the dust jacket is pristine condition. I’m also pretty sure I’m the ONLY person who hasn’t read the Dark Tower series. I’m so behind, you guys. Also, built-in bookshelves for my office are looking to be in the works for May so fingers crossed! Cannot wait to put my collection on display!